On 27 September 2016 the Raoul Wallenberg Foundation marked L’ Oratoire de Louvre (the Oratory of Louvre) as “House of Life”. 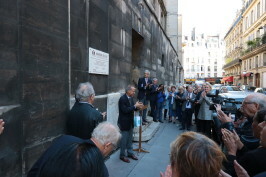 The Protestant Temple of l’Oratoire de Louvre, also known as Eglise de l’Oratoire Réformée Louvre, is a historic Protestant church located at 145 rue Saint-Honoré – 160 rue de Rivoli in the 1st arrondissement. 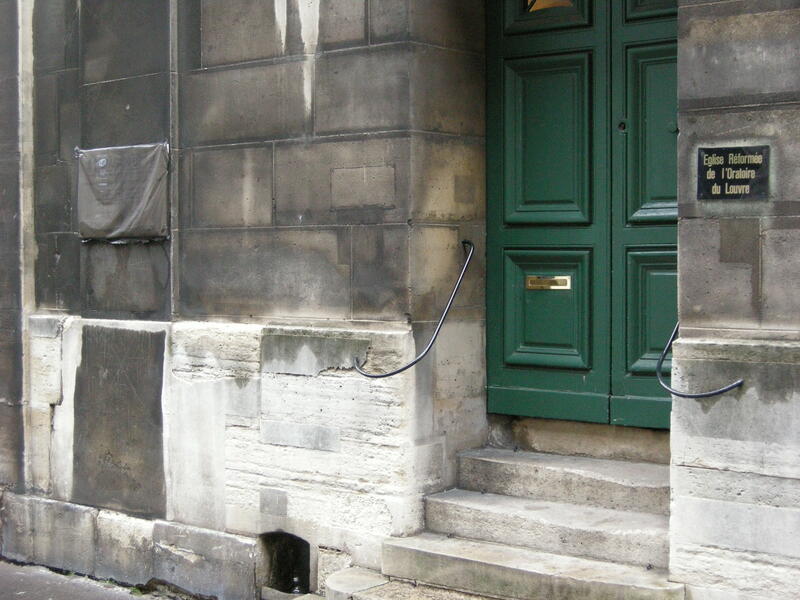 It was founded in 1611 by Pierre de Bérulle as the French branch of the Oratory of St. Philip Neri. 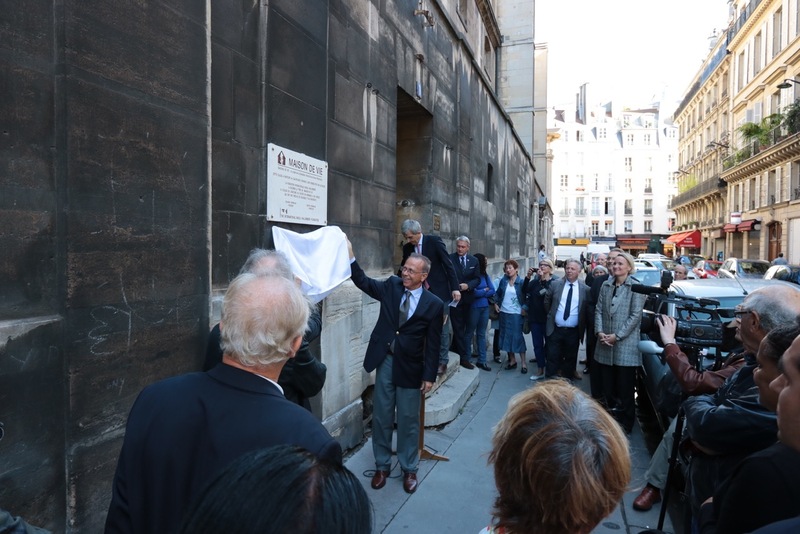 It was made the royal chapel of the Louvre Palace, declared by Louis XIII on December 23, 1623. In 1933, the Protestant pastor Paul Vergara became pastor of the Oratory. He resisted during the occupation with his wife Marcelle and worked tirelessly to save Jews from Nazi persecution. Thanks to their actions they managed to preserve the lives of sixty-three children and a dozen adults. 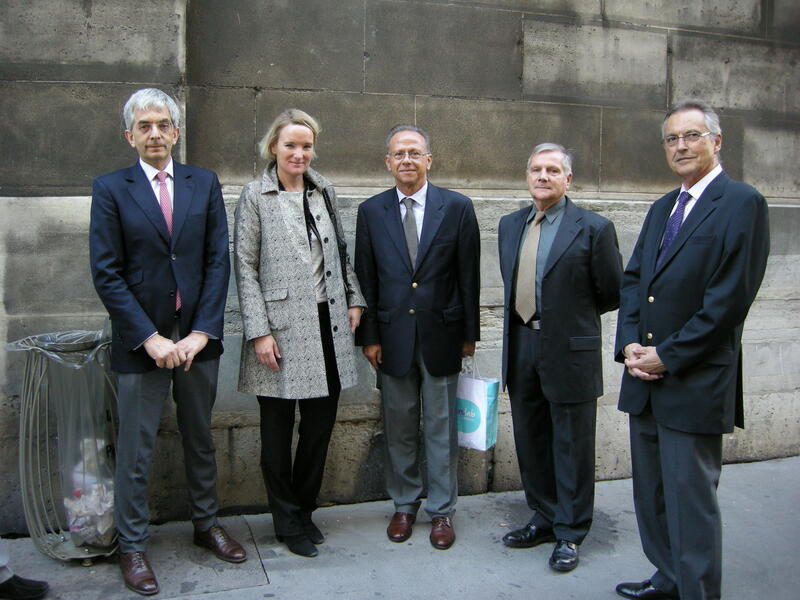 The ceremony was attended by representatives of the Swedish Embassy and the Argentina Embassy in Paris. 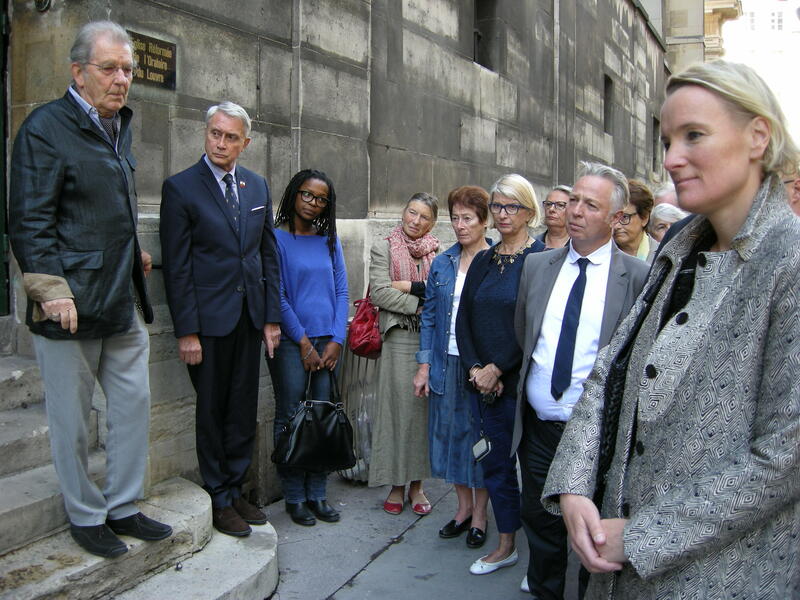 Also, Itzhak Revah, Jean Moutappa and Abe Radkin of “Aladin Project”, Carla Arigoni, President of Culture of the first district, Frederic Jumeno, representing the City, Chansia Euphrosine, director of the children’s center “La Clairière” (where the hidden Jewish children were saved), and Alain Villain, a child survivor from the Holocaust. 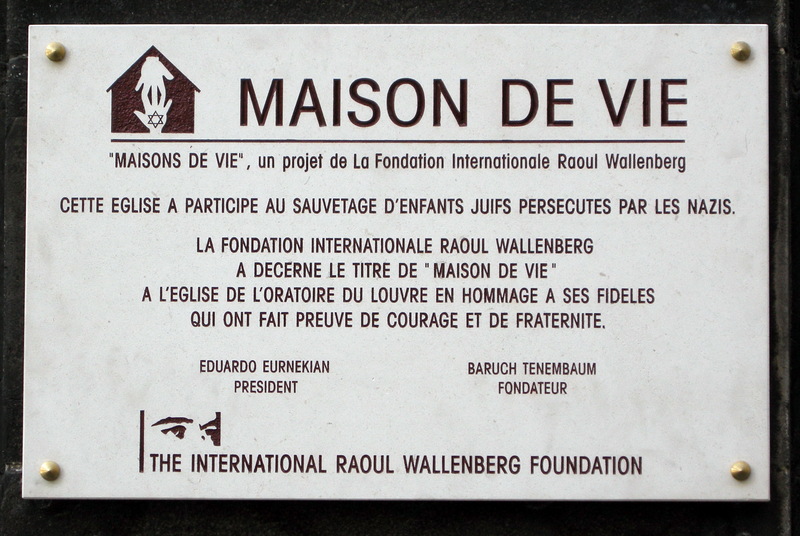 Alexis Bulgari, representative of the Raoul Wallenberg Foundation, opened the event. 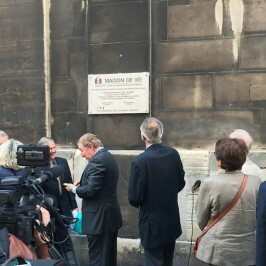 Mr. Bulgari is the son of Constantino Bulgari, Righteous Among the Nations, who in 1943, along with his wife Laura, gave refuge to three Jewish women in his house in Rome. Because of their generous action, on December 31, 2003 both were honored with the title of Righteous Among the Nations in Jerusalem. 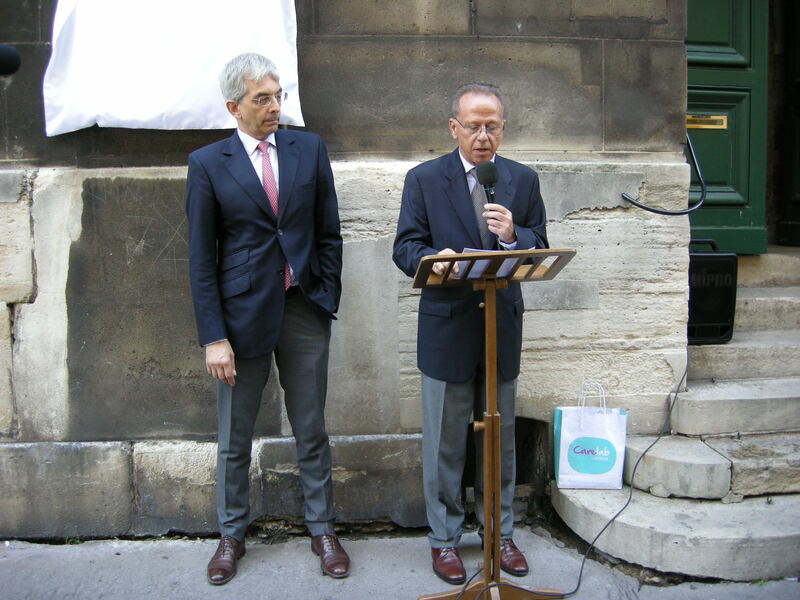 Then Philippe Braunstein, historian of Protestantism, spoke. 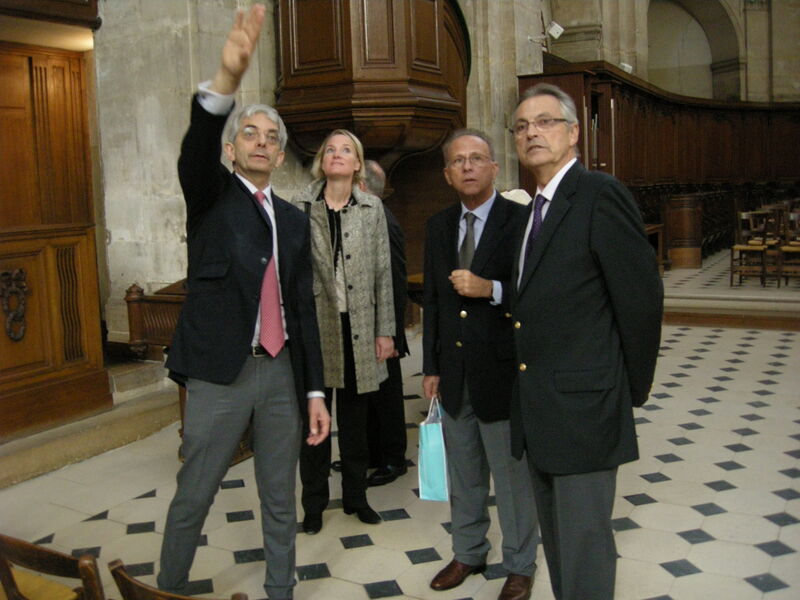 He recalled the constant opposition that those responsible for the Parish of Oratoire made against discrimination of the Jews, despite the German Official regularly attended numerous functions. 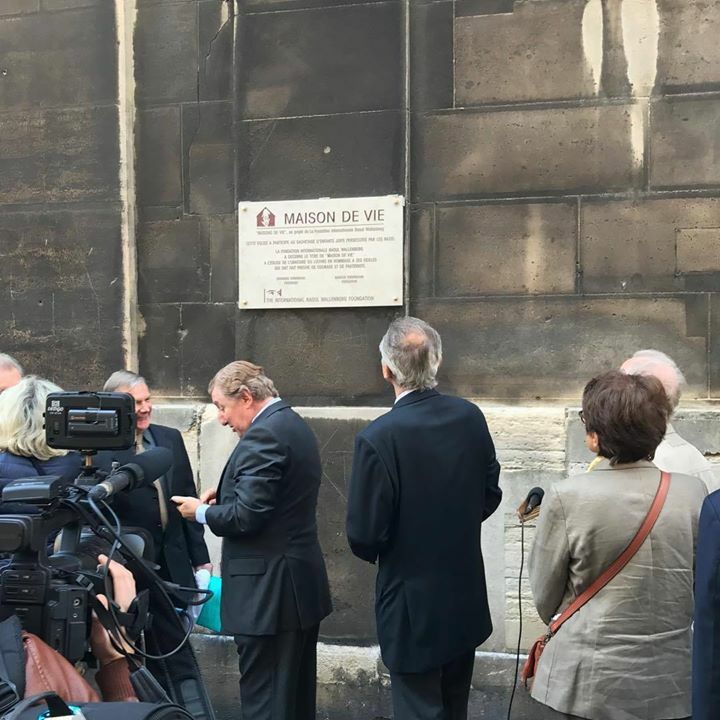 Finally, pastor Marc Pernot spoke; he highlighted the heroic act of salvation carried out by the former Pastor Paul Vergara, his wife, and assistant Marcelle Guillemot. 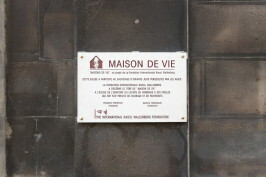 In the end, Alexis Bulgari and Marc Pernot discovered the “Maison de Vie” (House of Life) plaque, making it public to presents and passersby.